Commercial real estate rents in Sofia went up 24% last year. The average price for such properties ranged between 40 and 130 euros per square meter, property agency Foros said. 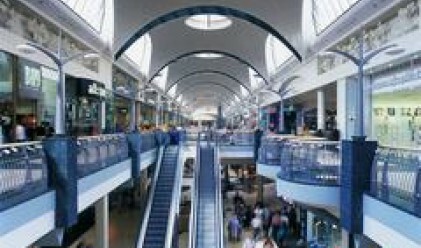 Rents in the biggest malls are between 30 and 60 euors per sq. m.
In Plovdiv the average rent is between 30 and 80 euros per sq m., between 20 and 90 euros in Varna, 25 – 55 euros in Burgas and between 8 - 30 euros in Ruse. Lats year the sector was developing rapidly attracting the interest of foreign investors and local funds. Demand for commercial space is still large, there are just 4 – 5 projects in the process of development in bug cities in the moment. This is about to change with the launching of several new projects in Varna, Plovdiv, Burgas and Ruse. With their completion, availability may even grow larger than demand. Varna currently has one shopping mall and a second one is expected to open doors in a few months. Four projects are being developed in Ruse, two are in their final stages of development in Burgas. There were just a few sales of commercial premises situated on main streets. Last year there were just three deals, the price ranged between 10,000 and 15,000 euros per square meter for small shops of about 20-30 square meters. Rents on main city streets went slightly down due to the competition with shopping malls. There is almost no demand for spaces in secondary streets. Properties there are being reconstructed to offices and residential apartments. The average selling price for commercial real estate in Sofia is about 4,000 euros per square meter. In Varna it stands at 3,750 euros/sq. m., in Plovdiv – 3,500 sq. m. As at the end of 2007 the average selling price in Burgas was 2,750 euros/sq.m. and in Ruse at 1,440 euros/sq. m.